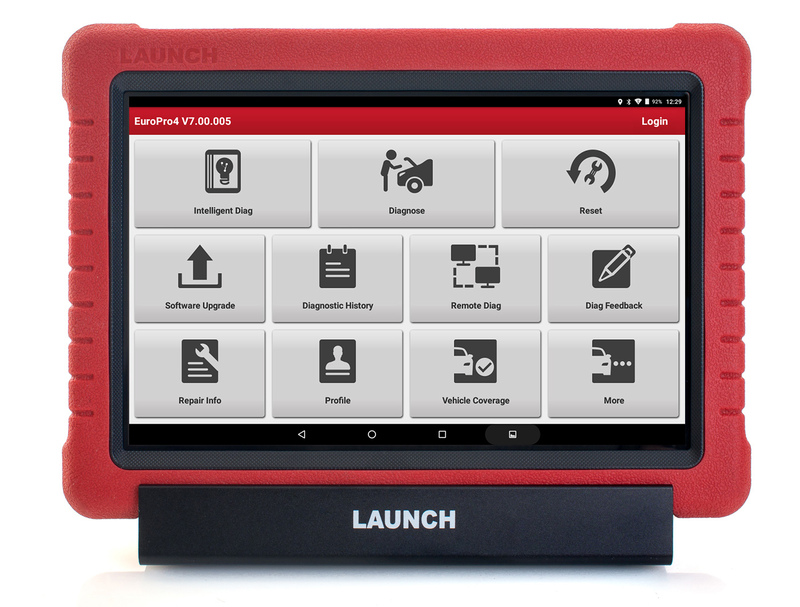 Based on the latest innovative Launch vehicle software, the X-431 PRO4 is a new high-spec intelligent vehicle software solution for independent garages and technicians which harnesses Launch’s diagnostic technology, providing wide vehicle manufacturer coverage. Supporting American, Asian and European passenger car and light commercial vehicles, the smartly designed X-431 PRO4 is an advanced automotive diagnostic tool based on the latest Android OS and technology, has a 10.1" touch screen and docking station. It includes a wide array of special features and vital functions, along with a selection of adapters, essential leads and a useful carry case. Some of the key feature highlights include WiFi and Bluetooth connectivity, OBD II functionality and live date graphing, as well as manufacturer-specific reset and service functions. This latest range addition supports module programming and recoding, tyre pressure monitoring, key coding and matching, automatic VIN recognition and many more. Dave Richards, Launch UK managing director, said: “We continue to introduce new products to offer more choice and meet the various needs of independent garages and technicians. As with other products from Launch UK’s range of professional diagnostic solutions, the PRO4 is backed up by excellent technical support, a two-year warranty and two years of free software updates, to offer one of the most impressive up-to-date, sophisticated diagnostics packages available. Amongst our range of car diagnostic tools, we have an excellent handheld device that is ideal for tyre service stations, professional garages and mobile service technicians.